Hills: If you love them, we've got them. Come climb with us. We'll provide the support you need to make it happen. We offer hilly tours through Wisconsin's capital city and through the mountains of northern Virginia. The following is a complete list of tours that range from rolling hills to big mountains. If hills and challenging climbs aren't your thing, we also offer a number of flat, easy rides. An inn-to-inn cycling tour of the southern Wisconsin and its beautiful capital city. Explore this hilly region dotted with lakes, quirky towns, craft breweries and more. Spend 6 days and 5 nights of lake views and miles of rolling terrain enjoying beautiful water views, vibrant downtown Madison, and Frank Lloyd Wright's Taliesin. There are two Best of Madison tours available in June. This is a moderately hilly tour around the lakes of Central New York. Explore the highest waterfalls east of the Rockies, cascades, glens, colleges, hamlets, valley farms, quaint towns and steep hillsides dotted with vineyards. 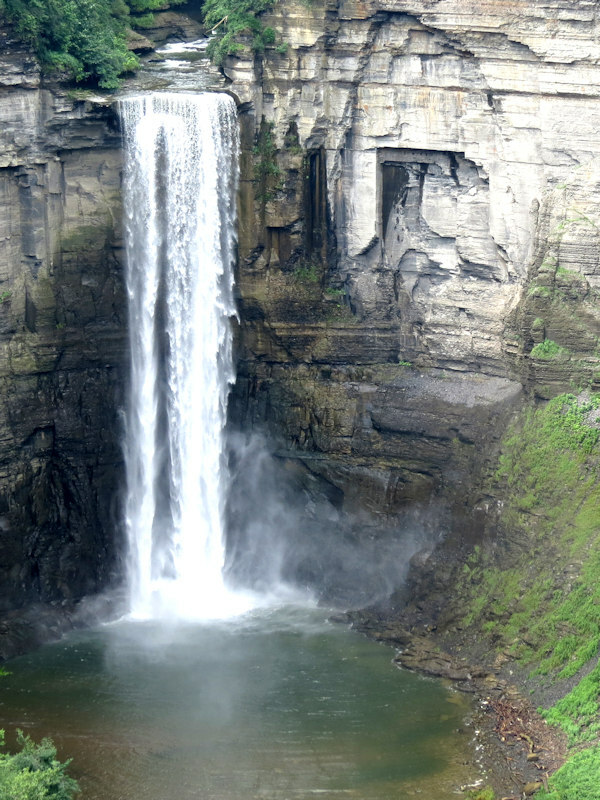 Spend 6 days and 5 nights cycling through the rolling hills of NY, enjoying spectacular waterfall hikes and a Finger Lake wine tasting along the way. There are two New York Finger Lake tours available in late July. An inn-to-inn cycling tour of the southern Adirondacks and Southwest Vermont. The terrain is hilly, with a few longer, more challenging climbs, but your hardwork will pay off. Explore some of the prettiest areas of Vermont and New York: pristine Adirondack lakes, verdant Vermont farmland, and the upper Hudson River Valley. 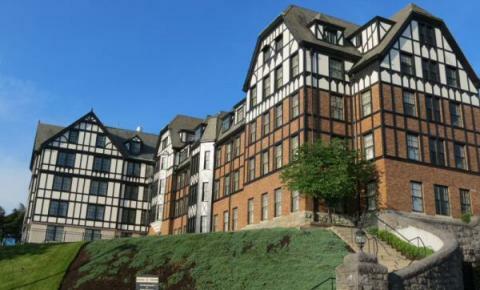 Savor beautiful Adirondack lake views and expereince vibrant Saratoga Springs, NY on this 6 day, 5 night tour. There are two Adirondacks & Vermont tours available in June. Come ride the Blue Ridge Mountains. Southwestern Virginia is home to beautiful sections of the Blue Ridge Parkway, the charming arts community of Floyd, bustling Blacksburg and mile after mile of beautiful road cycling. Although hilly and challenging, each day will include rides through some of the most historic and iconic sections of the Blue Ridge Parkway. Spend 5 days and 4 nights experiencing spectacular scenery and biking. There is one Virginia Blue Ridge tour available in September. 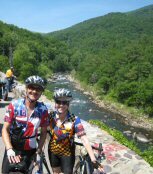 This is a more challenging road bicycling tour of the Southern Shenandoah Valley, Allegheny Mountains and Blue Ridge Parkway. Experience breathtaking Blue Ridge overlooks, pastoral valley farm roads, and winding mountain passes on this incredibly diverse tour. Spend 5 days and 4 nights winding through Virginia's Allegheny & Blue Ridge Mountains and the Great Valley Between. There is one Southern Shenandoah tour available in May. 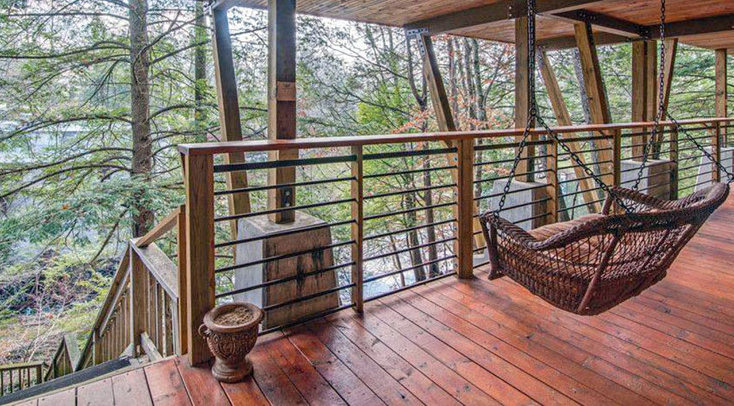 Middle Tennessee is a beautiful area of rolling foothills and lightly traveled back roads. Known for the Home of Country Music and the Jack Daniels Distillery, there is a lot more for the road cyclist to savor along the way. From Historic Murfreesboro's charming downtown to Upper Cumberland's waterfalls, caverns and Great Falls Dam, spend 6 days and 5 nights riding through middle Tennessee's rural heartland. There is one Middle Tennessee tour available in late April and one tour available in September. A bicycle tour of North Carolina's central heartland, including Chapel Hill, the Uwharries and the Sandhills, offering beautiful rural scenery, fine dining, and charming accommodations. No mountains here, just large rolling hills. 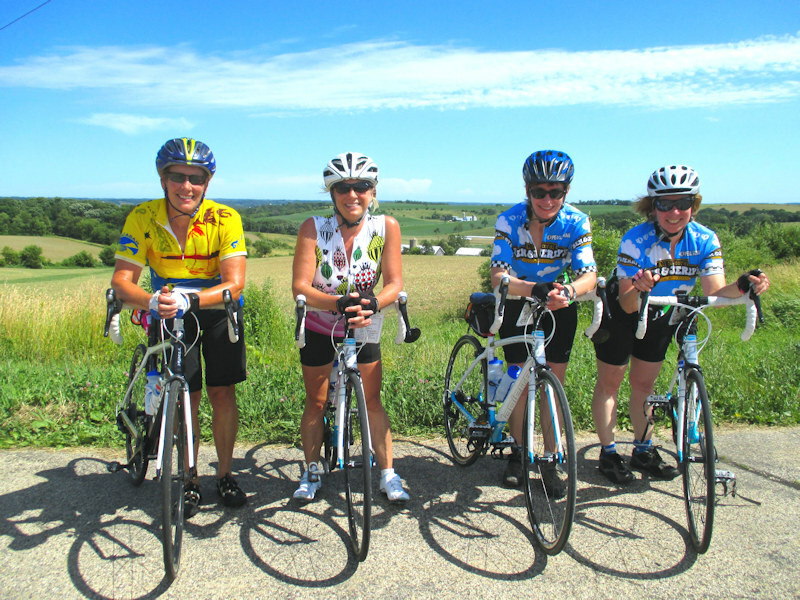 This is a great springtime tour for getting those legs in shape for the riding season. Experience an authentic "southern hospitality" for 5 days and 4 nights in NC's Heartland. There is one NC Horse Country tour available in April and one tour available in October. Still not sure if hills are your thing? Check out the flat tours we offer.